If your kid loves to DIY then a STMT craft kit would be perfect. STMT stands for Simple Trendy Modern Touch and they have a variety of DIY kits that would be perfect for a tween or teen girl. The STMT line comes from Horizon Group USA. I received a kit in exchange for this post. This post contains affiliate links. 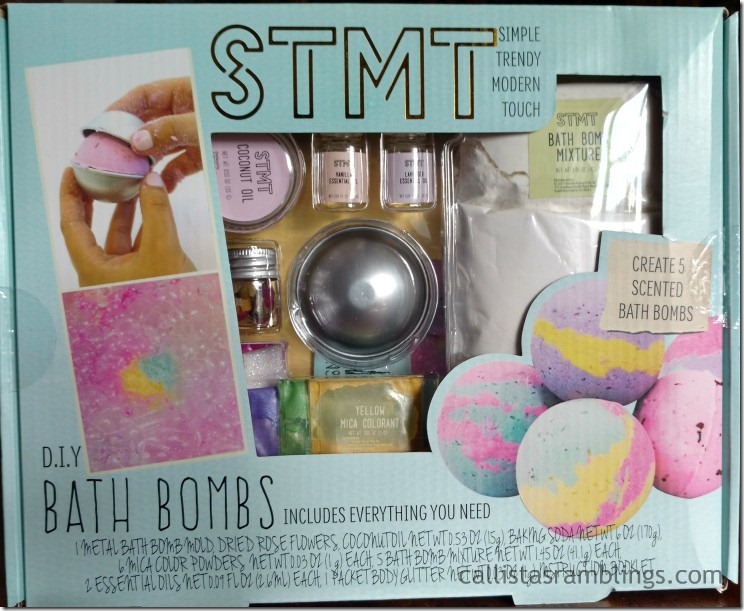 We received the bath bombs kit but there are a lot of other kits although they aren’t all sold at every store. Each kit comes with what you need to make the crafted item so you can get started as soon as your child receives the kit. Instructions are included and with a little supervision depending on the age of the child and the kit you have, your child can get to creating right away. A.C. Moore, Barnes & Noble, Canadian Tire, Costco, CVS Pharmacy, five BELOW, FredMeyer, Hobby Lobby, The Home Depot, Kmart, Kohls, Learning Express, Meijer, Michaels, Party City, Sam’s Club, Shopper Drug Mart, Target, ToysRUs, Tractor Supply Co, Walgreens and Walmart.